Poker, online gaming, sports betting, blackjack and slots--talk about it here. Did the steak you had at Longhorn last week make you long for the dry-aged masterpiece you got at Carnevino? Did your bartender break a bottle of rum on Friday night trying to flip it into a pour? Feeling like your favorite B1G team will finally win a National Championship, and you're gonna call Caesars Palace for odds? Tired of the Midwest and you're thinking about relocating to Vegas? Just watched the movie "21" and wondered why the lead role was given to a lily-white Brit instead of someone of Asian descent? Went to Vegas last year and decided what would happen when you took the blue pill instead of the red pill? Wanna talk WSOP or WSOP-Circuit? There's a new thread for it, please check it out. This is a bit redundant, dont you think? This thread was created because a few of us felt the WSOP deserved a dedicated thread. The old threads became catch-all, with some WSOP/WPT thrown in. If this thread proves to be redundant, it will stagnate and die. Perhaps poker doesn't need to be discussed much here, context dependent. We certainly welcome you to post on either thread and join the conversation. If this is going to be a general information thread about Vegas, it would certainly be useful to me. I'm looking for some ideas to do with them during the day. We have discussed going to the Neon Museum and they liked that idea but I thought it might be better to do that at night when the signs are lit up. Of course we will take them to a Cirq du Soliel show, but again that is at night. My wife and I have been to the Mob Museum and thought they might enjoy that as well. At least it's inside and air conditioned. I need some ideas for daytime activities. We have not rented a car yet, but we probably will. We will be staying on the strip. Ironically, none of us are into gambling, so we won't be spending our days in the casinos and I absolutely hate laying by a pool for an extended period of time. rhino, have you been there before? Its a lot of walking. The buildings can kind of play mind tricks with you whilst walking about the strip. The next building may appear to be just on the other side of one building and then across the street, but it might be further down the road than you realize and/or you need to use a pedestrian bridge to cross over the main boulevard. The bridges have a lot of steps to ascend/descend, but I think I recall that some of them have escalators. There is a people mover, and there are shuttles and taxis. We went in an early February and it wasn't too bad for a group of 40somes and a couple of late 60somes(?). But the heat might add a wrinkle to it. Right you are. The Casino properties are massive, so they present the illusion of being closer than they really are. You look out the window at Ceasars Palace over to Wynn, and it seems like it is so close. Reality is that you have over a mile walk ahead of you to get there, depending on where you are in the massive CP property. There is quite a bit of walking involved if you are north of Flamingo on Las Vegas BLVD, although the monorail can help a little if you are staying to the east side of the Strip. South of Flamingo, the block of MGM properties offer trams/rails from Bellagio to Monte Carlo, and then again south of Tropicana from Excalibur to Mandalay Bay.. There are shuttles available that run something like CP/Planet Hollywood/Rio. The Orleans runs shuttles to the strip, and that's pretty decent value property if you can live with not staying directly on the strip--which can be appealing to many older clientele. I want to say there aren't many actual stairways left on the strip, mostly due to liability concerns. Right off the top of my head, there is one at Ceasars that goes to the Bellagio footbridge. I can't think of anymore, but I am sure they are out there. Vegas has come a long way in being accessible to wheelchair-bound/scooter-bound guests, with elevators placed at many of the escalators. Vegas in June is very hot, so make sure you guys are prepared for it. When I was living there in '07, it was over 100 every day from like May 2X through the beginning of July. Lip Balm and lots of bottled water should always be on you or in a backpack/purse/camera bag. It isn't humid at all, which is a welcome change for anyone who lives in the southeast region. There is a ton to do in Las Vegas during the day, especially if you are renting a car--which I always do in LV. --Neon Museum is great, take lots of pics! You won't want to spend too long outside out there, even at night, so make that time count. --Mob Museum I have not been to, but only because I ran out of time last trip. Lots of nostalgia in that place, I hear, and hopefully your parents will enjoy the trip down memory lane. --Hoover Dam is a popular stop, but when I visited I was on the tail-end of a long morning shooting photography at Valley of Fire State Park. It isn't a bad checklist item if you have time. --There are Helicopter tours that do the Strip and Grand Canyon, depending on how much money you are willing to part with. --If you guys are into firearms, there are a few shooting ranges that feature full-auto weapons. You can even drive a tank at one! --Red Rock Canyon has a 13-mile loop you can drive on and check out some serious terrain. I did an e-bike tour with some of my family and it was pretty amazing. Plenty of cars do it as well. It is at least 30 minutes off the strip, but the drive isn't bad if you take the loop to Charleston. --The Secret Garden at Mirage gets mixed reviews, but being at Mirage is a bonus--one of my favorite properties. --The Bellagio Conservatory always has a great exhibit that is better viewed during the day. --The High Roller Ferris Wheel at Linq offers up some of the best views of The Strip. I got a Groupon for it months back, maybe it will be back. --The food in the Las Vegas area is diverse and generally outstanding. The gourmet burger places are fantastic, the Asian and Southwest fare is authentic, the steakhouses are as good as they are expensive and the seafood is shockingly great. There are blogs galore that discuss all of this. If you aren't going to gamble or sit by the pool, there are still things for you to do out there--maybe even without leaving the property you are staying at. The Sports Books are usually good places to watch whatever event happens to be playing. They don't make you place a wager, and the food is usually good and served with your favorite poison. Do you have any ideas on where you want to stay? Orbitz and Priceline both have solid deals throughout the year if you get in on them outside of a month away from your stay. I've used Car Rentals.com the past few times I have traveled and it is fantastic. There are always ways to save, to be sure. I was in Vegas last week and it took me 23 minutes at a brisk pace to walk from the Wynn to Margaritaville which is directly across from Caesars. I was there for a convention and didn't get much play time. Oblong, did you cut through Palazzo/Venetian or did you walk it all outside? Did you stay at Wynn? I forgot about the elevators. I like to take steps rather than escalators and elevators. I didn't know much about Vegas until we showed up. Honestly, I really had no previous interest in going to Vegas before a friend wanted to go for her 40th birthday. The strip was fun to wander around and people watch. Saw a Beatles tribute show and the fountains and some local walking distance stuff like that. Really didn't do much gambling at all. I lost $20 at blackjack in about 5 minutes and maybe spent only $30 in slots over a few hours. Fremont Street seemed pretty cool. Less hustle and bustle than the strip and video ceiling thing was fun. The Strip definitely provides world-class people-watching opportunities. Mickey, thanks for the suggestions. That's just what I was looking for. I will definitely check out the groupon link. It never hurts to save a few bucks! This driving tour sounds great for older people. We can drive in the A/C comfort of the car and pull over at our leisure, then when it gets too hot for my parents, back in the car. Perfect. Walked it all. There is a point where you have to go up walkways and cross over the road. I think that was at the Venetian. I wish I had more time to check things out but we were tired. Did a lot of drinking but it was basically "find a spot close to the road and hang out". Didn't go into any casinos other than our own and Monte Carlo as we had dinner close by and went into a bar there. Yes I stayed at the Wynn. Very nice. I liked it because while it was at the end of the strip it didn't take long to get inside and up to the room. Nice. Chucky from Child's Play was one of the strip get-a-photograph-with-a-mascots that we wandered by during our trip. I'm glad to help, Rhino. The driving tour at Red Rock has some great portrait opportunities along the way, and IMO, it is a great way to spend a few hours with your parents. Do you have any of the Strip hotels in mind for your stay? I haven't stayed in all of them, but I've either stayed in or spend a lot of time in a whole bunch of the properties. Of the current Strip hotel properties, I've stayed at Palazzo, Aria, Caesars Palace, Mirage, and Bally's. I stayed at Imperial Palace before it was The Quad and later Linq and also Frontier before they imploded it. Off-strip, I've only stayed at Binion's before they shut down the hotel end of the operation and Tuscany Suites which is a 'hidden' gem IMO. Wynn is fantastic, of course, as is Encore. I haven't stayed there but I've loved every bite of food I've ever had there. The flowers near the lobby are always insanely perfect. My dad really got into photography when he retired, so this will be right in his wheelhouse. We are staying at the Bellagio because in my research I found that Caesars, an enclosed mall (Fashion Show Mall ? 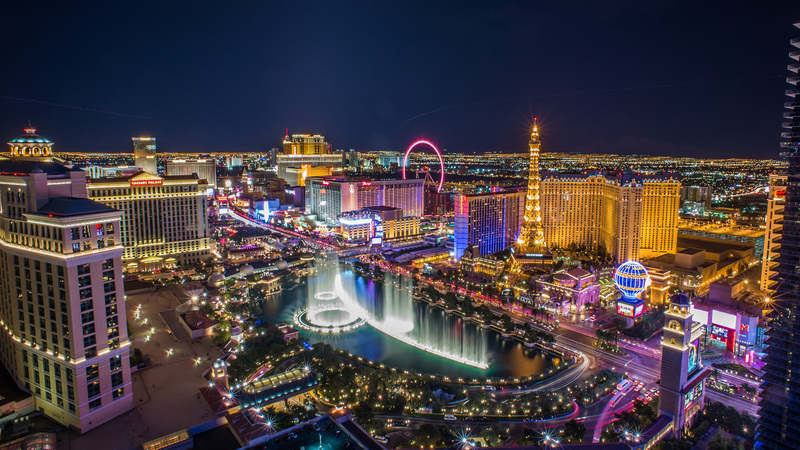 ), the Vdara (which is right next door to the Aria) and an enclosed walkway that takes you across the main strip and let's you out right in front of the Paris can all be reached from the Bellagio without having to go outside. In addition to the gardens in the Bellagio, which you mentioned, and the art gallery which I thought would be a nice way for them to spend some time in the afternoon. It is hard to go wrong with Bellagio, as it offers a very nice package of things for people who are either willing to spend some money or people who have a fair amount of comps. And the location is second-to-none, very centralized. In many respects, The Strip revolves around the Bellagio/Caesars Palace double corner. For Bellagio or any other property that interests you, like them on Facebook or get on their email list to receive promotional room/resort credit discounts. Sorry I forgot the Art Gallery, I have heard it is a really solid exhibit. If you care to eat a meal at Picasso, you can see some of his works in there if you are so inclined. Bellagio's spa/gym complex is fantastic--maybe the best on The Strip--and the pool area is perhaps the nicest for those who think Caesars' is overdone. 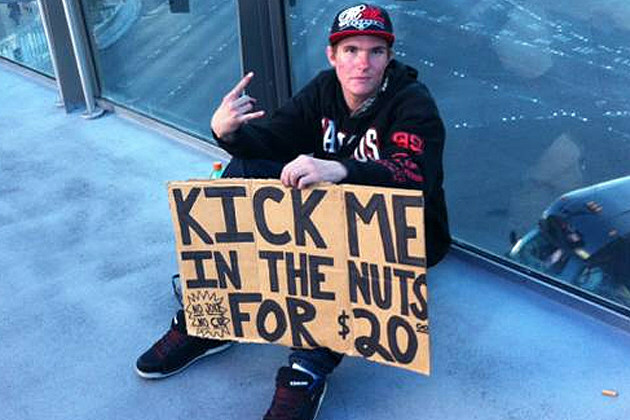 --The walkway to Caesars Palace is an unsheltered footbridge, now often littered with pan handlers, street hustlers working a shell game, and the random guy selling bottled water for $1 each. It didn't used to be like that, can't believe security allows that to exist on the second-nicest pathway between two marquee properties. Anyways, you can either take a steep stairway down to the surface or the elevator, then walk into either CP or continue walking north down The Strip. If you walk into CP and continue into the Forum Shops, it is all inside but it takes quite awhile. You walk through the lobby, the casino floor, sports book, Colosseum area just to get to the Forum shops. The Forum Shops are is very big, but not quite as the walk through CP to get there. When you exit the Forum Shops, it will dump you next door to The Mirage and across the street from Harrah's. The crosswalk to Venetian (not a footbridge, just surface) will be steps away as well. -The Fashion Show Mall is an independent structure, sitting on a corner across from Wynn where you can walk there on a footbridge IIRC. You can also get there from T.I., which is on the other side of Mirage, also on a footbridge. --There is a monorail/tram that rides from Bellagio to an area between Monte Carlo and Aria's parking structure. It stops roughly in the middle, at The Crystals, which is a short walk to both Vdara and Aria's lobby. The Stop at Bellagio is a healthy walk from the casino floor, so be advised. IIRC, the Crystals stop and Bellagio stop put you within easy walking distance to Cosmopolitan. --There is only a crosswalk that leads to Paris, and it is a pretty short walk from Bellagio. There is an uncovered footbridge (pictured above) that leads from the shopping area at Bellagio to the front part of Bally's . . . which is connected underground to Paris. --Monte Carlo offers a short walk to the tram to Bellagio, and it also offers a short and enclosed walk to Aria's casino floor. I say enclosed, but it is not climate controlled--but I do mean short. Monte Carlo is one of the nicer budget properties in LV, but nobody will ever confuse it with Bellagio. Aria is the perfect blend of MGM and Bellagio, and always an excellent choice. --Palazzo/Venetian is maybe the best all-around luxury property on The Strip. It offers a casino at each end of the property, arguably the best food court and best selection of food, great pools, and the most diverse shopping area. It is a short footbridge walk to Wynn/Encore, which is probably still the nicest property on The Strip. Mirage and T.I. are easy walks across the street. The downside? Caesars is about as far as you will want to walk with your parents and Bellagio/Aria is that much further. As far as photography goes, there is not shortage of things to shoot at Bellagio! That said, all of the luxury properties are a shooter's paradise. I took the hour+ drive to Valley of Fire State Park at dawn to shoot, and it is a pretty incredible place. If you guys have thoughts of going out there, go at the dusk golden hour and shoot the famous Elephant Rock (and other stuff. Shooting at dawn was necessary for me, due to time restraints, and it was ok. The sun hits the best rocks in the PM, though. This park is drivable throughout, but not as user-friendly as Red Rock. Any opinions on pool area for MGM, or Hard Rock, or the resorts around Tropicana area of the strip? Heading out for a concert at MGM Garden in October. MGM's pool area is fantastic and huge. Has a lazy river, great reputation for drink service. Very popular with the L.A. crowd, but more upscale than HR. HR's pool gained notoriety during the 'Rehab' TV broadcasts, but the pool is pretty ordinary by Vegas standards. Eye candy on the weekends imported from L.A. and strip clubs abroad. 1. Mandalay Bay: Maybe the best all-around pool area in Las Vegas. 2. MGM: Active and large pool area, great reputation for drink service. T3. Hard Rock: Reputation for eye candy and drink service, but ordinary pool by Vegas standards. T3. Luxor: Probably a little nicer than HR and a it makes you feel like you are actually in Egypt. 5. Monte Carlo: Could make a case for this pool at #3, as it is a really solid pool with zero intimidation factor. But it feels like a nice resort pool rather than a Vegas pool. 6. Excalibur: For a value property, has the nicest pool ever. It just isn't as good as the other five. Plenty big and plenty nice for most people. 7. NYNY: The drop-off from Excalibur is big. Smallest of the pools and probably least-nice of them all. Plus lots of NYC-area. If you want to be surrounded by New Yorkers, swim here. Regarding MGM for events, you are in for a treat. Nobody on the event does it quite like MGM, and the Garden is a really good venue. The casino floor is very active for big events, usually some celebs there with entourages. We stayed a long weekend at NYNY before. I liked it there, it was a good experience overall, and this was during some construction/renovation that it had going on. I didn't notice that it was a place for the NYers to be, but I was probably too awestruck by the lights and whatnot around us. Spent some time at MGM's casino floor as well, but don't much else about it or other resorts as far as the lodging is concerned. I'm not sure the pool idea is prime on our list, but HR's pool was mentioned. I guess we have not discussed it that much. We typically hit a Jimmy Buffett concert every year and a summer night didn't work out for us as a group. The Vegas concert thing was a spur of the moment idea and we just jumped on it. Buffett shows are entertaining for us to begin with. Its going to be odd not packing a grill and chairs and canopy and all of the other ****, but I think we'll find a way to manage. So, what do you men by "resort pool" and "Vegas pool"? NYNY is a fun place to visit and the casino floor is always alive, it seems. My dad is a huge Buffett fan, he loved the concert he went to years back. It seems like a real friendly atmosphere at those! --Day and/or night pool parties with a DJ, and predominantly young crowd. --just being huge--like five pools+ lazy river big. All of this is not exclusive to Vegas, but the pool party culture is particularly strong there and a place like Mandalay Bay, MGM or CP is crazy big or over-the-top in theme. A lot going on at FireKeepers. I already mentioned the gas station and car wash. They are officially expanding the poker room. With the area they are expanding I imagine it will add 8-10 tables. I was talking to a chef at one of the restaurants. This hasn't been announced yet and it might not be for a bit, but they will soon be adding a golf course to the property. It is great to see FireKeepers doing some next-level things. Adding tables is great for potentially drawing a regional poker tournament, which in turn will draw a bigger pool of players into the cash games. I've never been sure how much adding a golf course means to a casino property, as Tunica and Biloxi both have golf access, but for an isolated property like FireKeepers I can see it being a really solid draw. Part of me thinks they are just sitting on piles of cash and looking for ways to spend it. Not sure if the tribe runs it or they contract that out, but they do a nice job. They don't sit on their hands thats for sure. Since I started going two years ago, there has constantly been at least one restaurant/bar closed and under construction. Each time has been a fantastic job on the remodel/upgrade. And this is a place that has only been open since 2009.